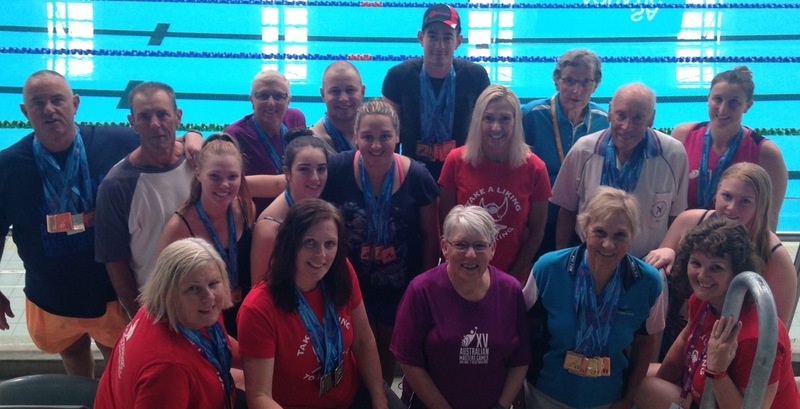 Four female swimmers from Vikings - Brenda Day, Anne Smyth, Caz Makin and Donna Campbell ventured down to Adelaide for the XV Australian Masters Games - Vintage 2015 - and aren’t they glad they did! It was a superb venue at the SA Aquatic and Leisure Centre. The pool was nice to swim in, and they all made new friends from different places, as well as catching up with old ones. 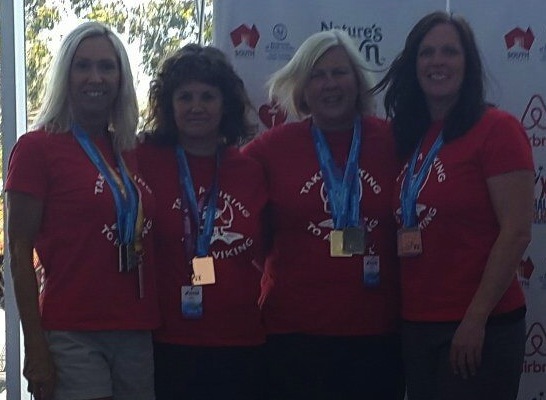 What a great three days of swimming was had by those four ladies from 3-5 October 2015 – with a total of 33 medals between them coming back to Canberra. Our ladies had loads of fun and teamed up with Paul Bailey (from Warringhah Masters) and Peter Sheehan (from Sutherland Sandburn Masters) for two mixed relays on the second day. For a first timer to Adelaide, Donna was impressed. The city, the pool, the food and drink, the chocolate, the sites to see, the beaches, all unbelievable … “did I mention the chocolates mmmmmmmmmm”. Donna’s hubby (Malcolm), who now understands the intricacies that goes into masters swimming, showed his new found abilities for split taking and also acted as team photographer! Apparently, the next Australian Masters Games will be held in Tasmania in 2017. Consider it as a great option for a fantastic long weekend away swimming, laughing, chatting, eating, drinking ….. now who wouldn’t like all of that? !